Pickled Egg has won new business with corporate clients including Samsung, Eaton Corporation and Asus. Eaton Corporation has appointed the agency to manage all its incentives, promotions, communications and education programmes for 2011 following an initial incentive account win to take 25 delegates ‘off-roading’ around Chippenham in February. Samsung Print Division also appointed the agency to organise an event for 20 delegates in Chamonix this month following a promotion that ran during the fourth quarter of 2010. Pickled Egg has previously worked with Samsung's display division. 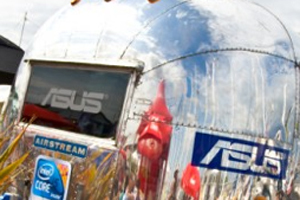 Meanwhile, Pickled Egg’s contract with computer product manufacturer Asus has been extended for 2011, following a year-long experiential campaign. The agency has also won a contract with anti-virus firm Vipre to manage all its channel incentive programs for the first time for 2011.